The University of Illinois at Urbana-Champaign, one of the best and largest public universities in the United States, has been a leader in advancing the quality of the student experience in higher education. 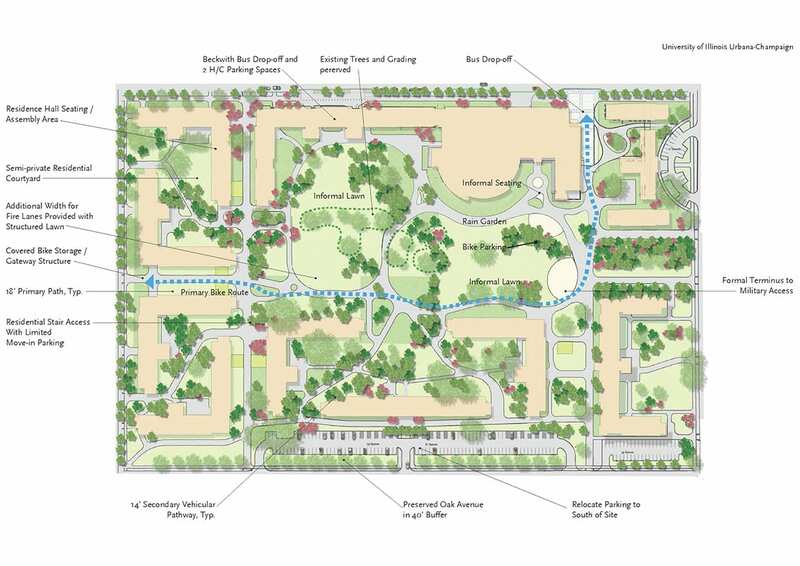 This master plan provides improved living facilities for 3,600 students, and includes a student center with dining facilities, study rooms, and social spaces. 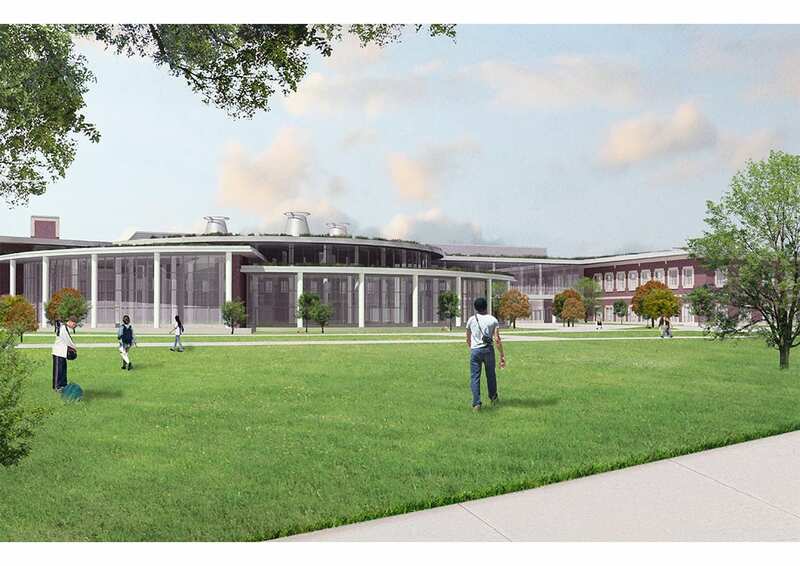 The challenge of this master plan was to maintain parts of the existing facilities built in the late 1960’s and phase the construction so as to build and demolish without increasing the total number of student beds. 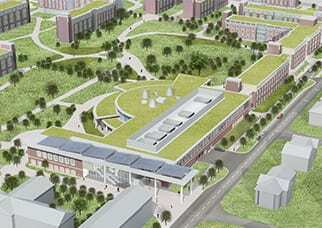 The grand tradition of American Campus Planning is advanced with landscaped courtyards linked with informal walkways around a shared “common green.” The student union, Ikenberry Commons, becomes the focus of the community and its gateway links to the University Campus to the north. 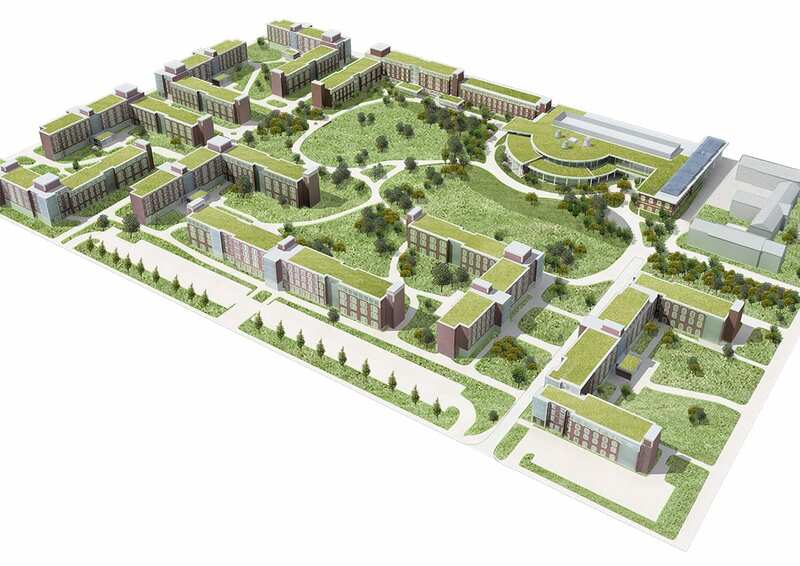 With a commitment to sustainable architecture, solar energy, rain gardens, and green roofs, this project seeks to set a new standard for university housing and lifestyle.